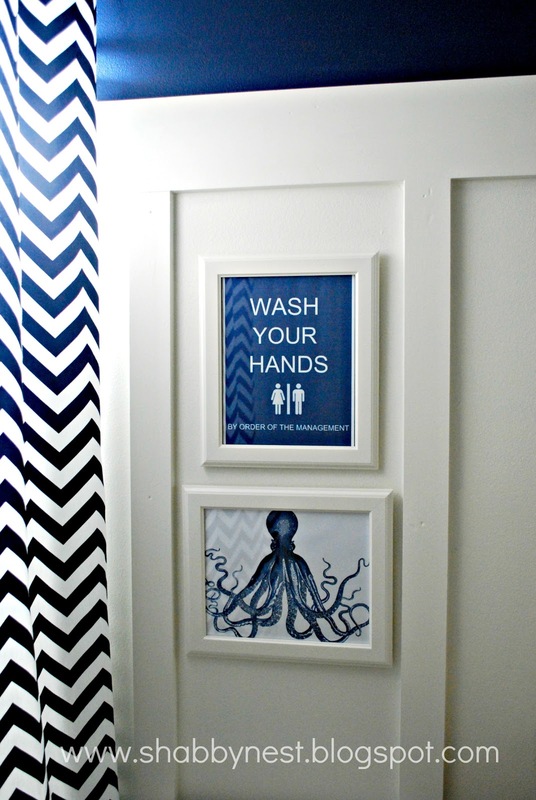 You may recall the fun artwork that I used in the kiddos' bathroom redo. I have had tons of interest in the art so today I thought I'd do something fun for all of you, my dear readers! I've already mentioned that I found the octopus image on The Graphics Fairy...here is the link to the original black and white image if you are interested. 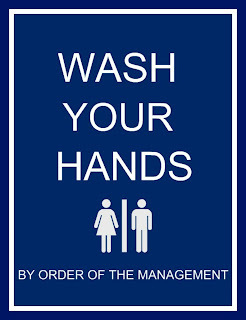 The Wash Your Hands image is one that I created specifically for this room. So today, I thought it would be great to offer it to you as a FREE PRINTABLE!! To download your own copy (8x10) simply click on the image below. This printable is for personal/ non-commercial use only. LOL good one all our kiddie's could do with a reminder like that!! This sign is awesome, just love it! Will have to keep saved for when I have lil ones. Cheers! Definitely going to keep this in mind for when we have kiddos! Thanks for sharing. This will get lots of laughs & smiles at our adult pool party this summer. Thank you thank you! I've been wanting to make a sign like this for my bathroom. The grandkids always need reminding and I thought a fun sign would be more effective than grandma's screaming!